Explore Barcelona, and its Famous Spanish Delicacy! 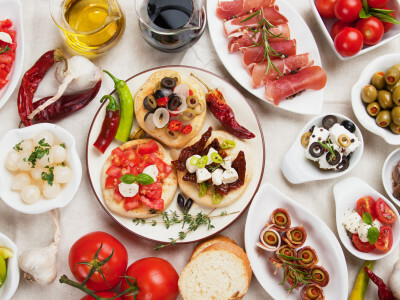 Spain is famous for its mouth-watering tapas: the food packs a big gastronomical punch, and it is a staple of fine European dining! But what is tapas like in Spain? You and the lads can find out on your stag do in Barcelona, and this tapas tour is the perfect introduction! Your group will dine on the famous Spanish food combined with drinks of your choice! Across three bars you will combine the best selection of tapas with wine, beer or sangria (or all three! ), while learning more about the history of tapas. An English-speaking tapas expert will collect you at the meeting point, and whisk you off on your amazing tapas journey!